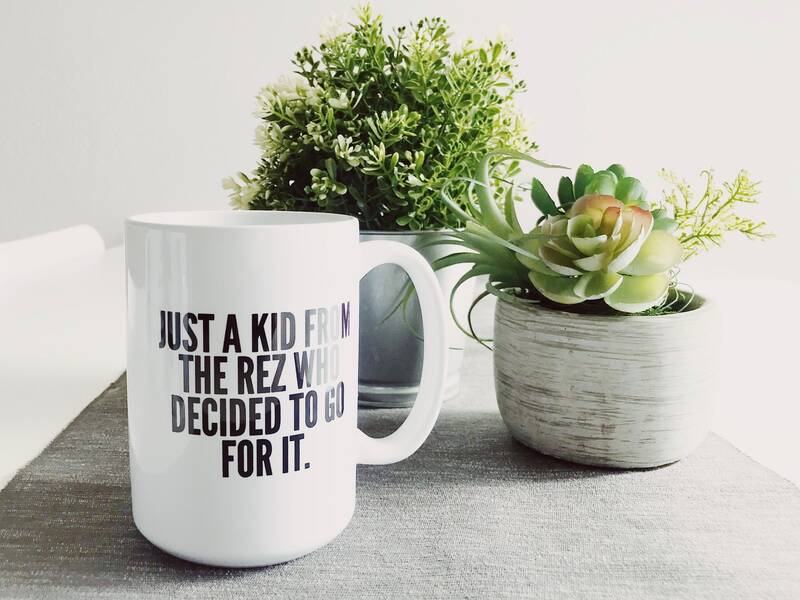 Mug says "Just a kid from the Rez who decided to go for it." Makes a great gift for all the rez go-getters across the way! 15oz Ceramic Coffee Mugs are dishwasher and microwave safe, but hand washing is recommended. Design is printed on both sides of the coffee mug. High quality heat transfer is used for printing process for a vibrant, permanent, long lasting image. They look great, are fun & sure to get compliments! Perfect gifts for friends & family, Gift for Boss, Teacher Gift, Christmas Gifts, Hostess Gift, Grandparent gifts, Co-worker gifts!! Product made with love on the Navajo Reservation.